Also known as Acer GT-810-15NC, the Predator 8 arbors an 8-inch 1920 x 1200 resolution TFT display, which claims to be capable of producing a 100% NTSC color gamut using the Predator ColorBlast technology, while it bets on a futuristic design with red speaker-grills on each corner and a brushed metal back with sharp angles and red accents. 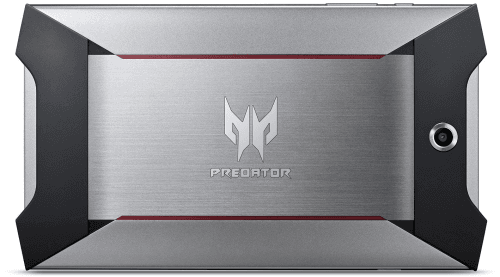 That being said, it produces virtual surround sound through Acer's Predator Quadio speakers located on each corner of the device. 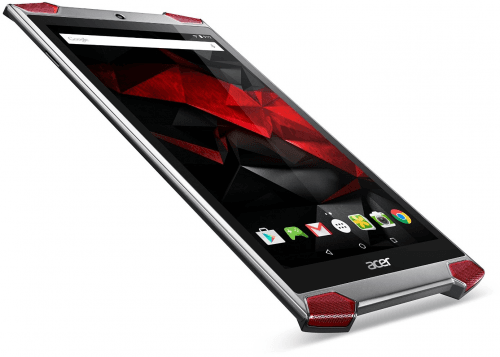 Also known as Acer GT-810-15NC, Acer Predator 8-Inch. Latest Acer tablet computers See all the newest Acer tablet computers.